Ok, I have been waiting to find a certain picture before informing the world of this piece of information. About 2 weeks ago my old roommate, Julie, got married to our friend Rob. She was super cute and the picture are pretty much amazing. 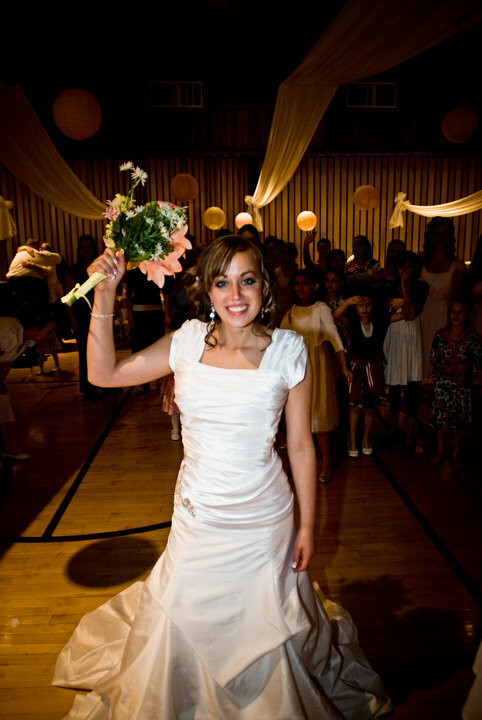 Everyone knows the tradition where the bride throws her bouquet out in the crowd of single women. Everyone is out there and I’m just chillin. All of a sudden, my hand goes up and the bouquet is in my hand. I honestly don’t know why it happened. Mindy was right in front of me and she was like a foot taller than me with her heels on and everyone was so much more gunhoe about it than I was. 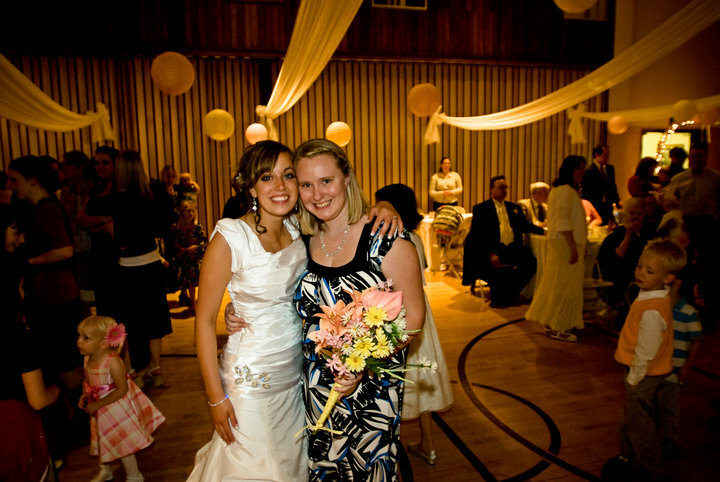 so with catching the bouquet I got a special picture with Julie and supposibly I’m the next one to get married. People are saying I will find someone in Florida to help that come true. However, I am making a promise right now for the whole world to see. I will not get married until I know it is the right thing and I have the right man who will take me to the temple. I promise that to each of you. Anyways, here is the pictures. Julie getting ready to toss her bouquet. Julie and lucky girl to get married next. We will see what happens. First of all, thank you so much for you giving your word to me that you will wait for the right man at the right time. And now I would like to PROMISE YOU that I will wait for that right woman to get married to. You have my word. I fancy myself a “prince”, which I think you can understand.